I once asked a hotel manager over dinner in Cyprus what he did during the Turkish invasion of the island back in the 70s. I wish I had not because he revealed he had been busy slitting the throats of a few invaders. Hmm I thought… how much do we know about our hotel manager when we put our lives in their hands albeit for a few hours or nights? Needless to say I left it out of my article at the time as he was a hospitable sort whose passion these days is his pet dog. In a similar vein I have often wondered about hotel bedrooms and beds. And so it was when I stayed in one of the largest and most opulent bedrooms in which I have ever spent the night. Room 7, described as a Mansion State Suite, at the former stately home Luton Hoo on the borders of Hertfordshire and Bedfordshire. The bedroom room alone is large enough to house the whole of my London 2-bed flat with room to spare, then there was the marble bathroom with a whirlpool bath. 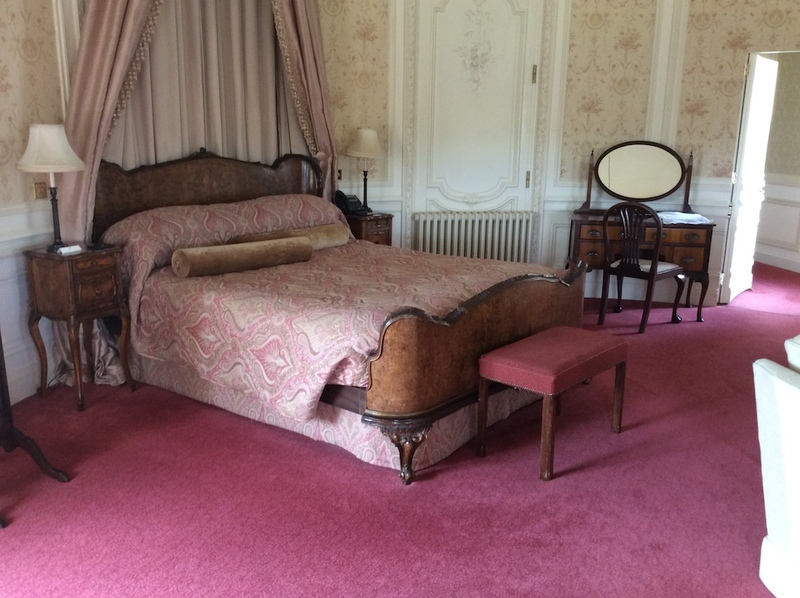 The bed (pictured) was possibly the grandest (and largest) I have slept in – was it the original bed and what grand personages had slept in it I speculated. Could it have been Winston Churchill or even The Queen who spent part of her honeymoon with Prince Philip there. It was my first visit to Luton Hoo inspite of living and working on a local regional daily newspaper in the area.. At the time it was the family home of the Wernher family – aristocrats with links to both the UK and Russian monarchy who also carved out a fortune in the diamond trade. The house was sold to its current owner Elite Hotels in 1995 for an estimated £25m – one of the largest property deals in the country for more than 50 years. 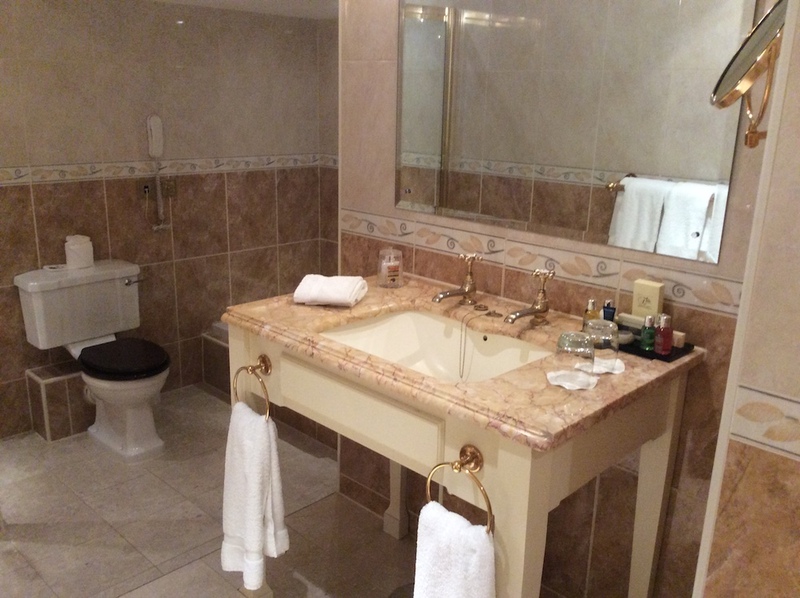 It subsequently underwent a no expense spared £20-million programme and opened as a hotel in 1999. Luton Hoo will be familiar to many as one of the grand houses that featured in the film Four Weddings and a Funeral. It also took the part of Manderley in the recent television version of Daphne du Maurier’s Rebecca. 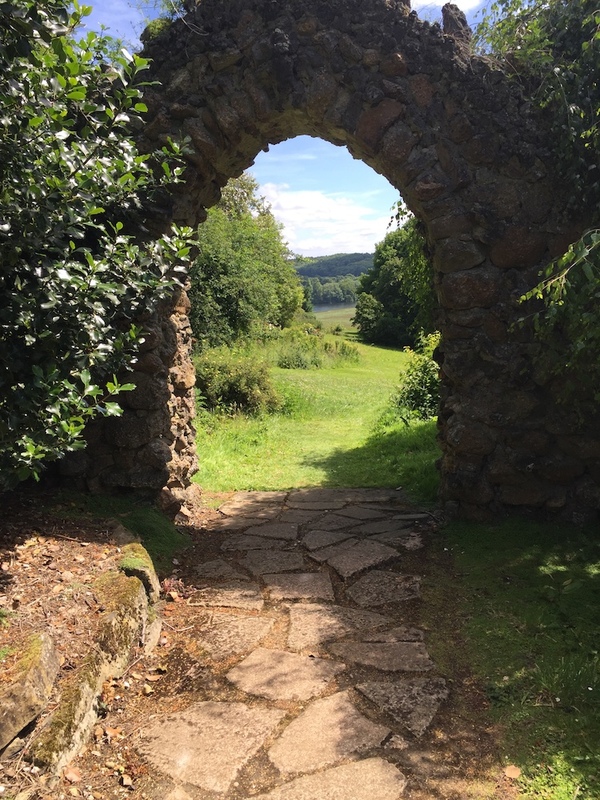 As I looked out from the bedroom window on the first floor at the breath-taking grandeur of it all – the rolling Chiltern Hills in the background and the Capability Brown landscaped garden and an enormous lake, I imagined it must have been with great sadness that the family sold up. Or perhaps it was with a sigh of relief as the last owner Nicky Philips had been dogged by debts trying to turn part of it into a business park and committed suicide. The vast neo-classical Grade 1 listed mansion, designed by John Adams, is set in woodland and 1,000 acres of parkland. It was built in 1767 for the 3rd Earl of Bute (Prime Minister to George III), himself a keen gardener. The exterior has remained largely unchanged. The interior was extensively remodelled by the architects who designed the London Ritz when the estate was sold to Sir Julius Wernher at the turn of the century. Today London Hoo is undoubtedly opulent – it has five stars, a spa, an award-winning restaurant and one of the longest golf courses in Britain. Elegantly preserved, the lavish Edwardian style remains in the choice of décor with intricate rugs on the floor, large gold-plated mirrors hang above ornate fireplaces and antique furnishings scattered among the pillared interiors. High ceilings are a key feature throughout and large windows with heavy floral curtains shed light into the often dimly lit rooms. There are various family items on display but sadly the fabulous Faberge egg collection is long gone. During the two days of my visit I was lucky enough, most of the time, to find myself the only guest exploring the grounds. It was magical as if they were my own. Clearly guests prefer to take tea on the terrace which is no surprise as it has a peaceful view over lovely formal gardens. If you’re feeling more energetic, there are bicycles to ride along mapped nature trails, try your hand at a spot of tennis on Victorian grass courts or even clay pigeon shooting. Children are welcome – the swimming pool, board games and organised school holiday activities will keep them occupied. To ferry guests around the idyllic grounds, the hotel even provides its very own fleet of London taxi cabs. If golf is your thing, Luton Hoo is an unmissable place to play with its 7,107 yard long and par 73 18-hole championship course. Afterwards a visit to The Country Club, set within converted Grade II listed former stables which also houses the hotel’s second restaurant The Adam’s Brasserie. Perfect for sipping a chilled glass of wine whilst admiring the view of the surrounding woodlands and taking in the peace and quiet. With 35 rooms in the mansion house and 193 additional rooms in the Parkland, Flower Garden and Club house, the aim is to cater for everyone. Mansion house rooms are authentically styled and incredibly spacious. Decorated in rich colours, many feature panelled walls, ornate ceiling decoration and traditional furniture. Minibar, Nespresso machine and tea-making facilities are all accounted for. Head for the Parkland, Flower Garden or Club house bedrooms for a more subtle colour palette with far less frills, offering instead a contemporary design with airier interiors. The Wernher restaurant, named after Sir Julius Wenher, is the most heavily decorated room in the building. With views over the immaculate gardens, the marble panelled room is nothing short of impressive but the service felt a little suffocating at times. There is also the Adam’s Brasserie or The 19th in the stables for a lighter atmosphere. Breakfast was a good spread of breads, cheeses, cold cuts, cereals, and a more extensive à la carte menu is available. The Wernher restaurant (two courses for £20) offers the likes of potted shrimp and crayfish with lemon puree, olive oil crostini and coriander salad followed by wild mushroom and spinach risotto with poached hen’s egg and black truffle foam. There’s lots to do locally, from watching hang gliders soaring above the chalk ridge of Dunstable Downs or taking a ride on the steam-hauled railway at Leighton Buzzard to exploring the lovely Chiltern Hills and the Thames Valley and visiting Whipsnade Zoo and the Woburn Abbey safari park. Tagged Luton, Luton Hoo, luxury five star hotel.